Shauntay Grant is a writer and storyteller from Nova Scotia, and served as Halifax's Poet Laureate from 2009-2011. About a dozen grade 6 students at Nelson Whynder Elementary School in North Preston sit in small clusters: working groups of three or four, huddled around square tables, dissecting a sample from my newest collection of poems. "You wouldn’ say last, we would say las—without pronouncing T," a girl tells me. She sounds each letter with clear certainty. "I don’ sink so," a boy pipes up in gentle protest. And instantly, more youthful voices join the debate, weighing in on matters of grammar, spelling, and diction. I move between them, watching the students enunciate and stretch syllables, listening for shapes and patterns. And I watch them scribble with fresh pencils, transferring the sounds their lips make onto milk-white paper, carefully converting a spoken language into a written one. Three students sound out the fifth line of my poem, mulling over the options. From every corner of the room words like "bigole" and "haf" fill the silence. And soon, it becomes evident that writing a spoken language is perhaps easier said than done. Primarily a residential community, North Preston (known affectionately as "Up Home") is home to descendants of Black Refugees who migrated from America to Canada after the War of 1812. These former enslaved persons of African descent brought with them to Nova Scotia their songs and stories, cultural customs, and a unique offshoot of the English language that has survived more than 200 years. Where sounds like "th" and "ing" are staples in standard English, in North Prestonese (as the youth have coined it) "th" is often substituted for "s" or "d", and words ending in "ing" are clipped in a way that is customary in historic Black North American communities. Ultimately, it is these slight but significant nuances that make the language sing. And as a children’s writer with roots in North Preston, I’ve become preoccupied with transferring this root tongue onto the printed page. My current work-in-progress is written in the voice of a young boy from North Preston who sets out to document the sights and stories of his home. 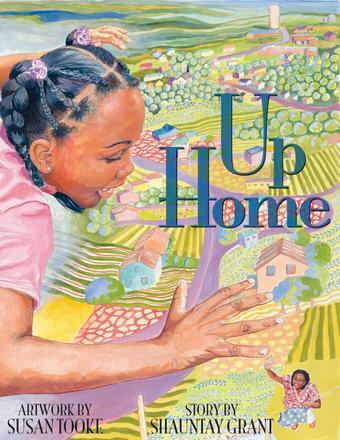 And where the language in my first book publication—a children’s picture book called Up Home—is light by comparison, with this new project I want my narrator’s voice to closely reflect the community’s rich vernacular. Even still, negotiating Black vernacular language in my writing hasn’t been without its challenges. And constantly I wonder: How do I write in a way that reflects the language from my community, and is accessible to young readers everywhere? At Nelson Whynder school in North Preston, educator Rachel Mantley stands at the front of the classroom, guiding the students in an activity. "How would you say after?" she says. "So would that word have a contraction in it somewhere?" "Yea," says the boy. "At the end." I say the words out loud but low, talking to myself. I’ve been here before: pouring over the language, somewhat suspicious of my reason, wondering if I’ve pushed my tongue too far. But whatever concerns I might have around communicating North Preston's vernacular in print form, working with this vibrant group of students reminds me that language is multifaceted and malleable. It is innate and evolving. And sometimes, to truly savour a story we must have it uncooked, in raw form. Special thanks to the grade 6 class at Nelson Whynder Elementary School in North Preston, teacher Melissa Downey, and Instruction & Learning coach Rachel Mantley. About the book: A positive, heartwarming portrayal of North Preston past and present. This touching poem from spoken-word artist and poet Shauntay Grant portrays the Nova Scotian community of Preston. Short, staccato lines, musicality and the use of real, spoken language, and Susan Tooke's breathtaking illustrations using real models from the community, combine in a sensory experience that is sure to wow readers of all ages. Grant's memories of growing up reflect a magical place where landscape, food, history and, most of all, people come together in a community filled with love and beauty. A powerful story of one of Nova Scotia's most important black communities. About the book: Volume 2 of the Canadian Ethnography series is a fascinating study that reveals the little-known experiences and lives of migrant American slaves in the years of struggle after their arrival in colonial Canada between 1813 and1840. 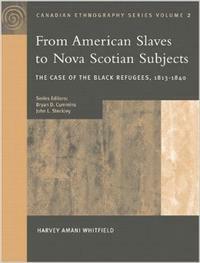 Overwhelming odds limited their opportunities for earning a respectable livelihood, but despite years of poverty, disease, racism, and neglect in a harsh environment, the Black Refugees persevered to develop a distinct community identity and a foothold in the rural and urban economy of Nova Scotia. 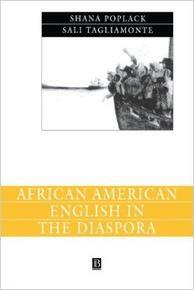 About the book: This provocative volume investigates the origins of contemporary African American Vernacular English (AAVE), one of the oldest, yet unsolved, questions in sociolinguistics.